HE probably turned his head away from the phone and said " Tell Frank to Piss off " ....Dave and me sort of have a love hate realtionship, I love him, he hates me LOL !!!!!!!!!!!!!!!!!!!!!!!!!! Just kidding we just like to break each others chops so to speak. Anyway again I am really glad it all worked out for Dave the fan and our Dave too. Also that is so cool that got all the exclusive info and music...Dave you are the Man and the other Dave is too. You KNOW he said "Don't believe half the crap Frank says!! " But that's a better percentage than Ray gets!!! Yeah but the half that is the truth, and trying to figure out which is which is what he and other people get worried about ;D Anway crows can usually back most of their stories unless they have to breech confidentiality and Dave and especially Ray knows they can trust me. Let me start at the begining. Wednesday morning I got up and was out of the house by 6:30, not bothering to check my email. I got to work at 8:30 and snuck a look at the forum to see "Hooray for ColeHarbourDave" by rockessence. "Wonder what that means?" thought I. I opened it up and clicked on the link to see my name as the winner of the F.O.O.T.H. contest. The world spun and and I freaked out a little inside. I thought that this couldn't be true. I then tried to think of a way to leave work early to go home and check my email, but then things got hectic and I was stuck until 5:30. A soon as I walked in the door I went right to my computer, opened up my email and saw the confirmation email from Kate at Meta Media. There were three available times to speak to Dave, the first had already passed, the second was during work hours, and the last which I chose was 10:00 Saturday morning my time. A couple of more confirmation emails to work out details and everything was set. Then I got really nervous. What was I going to say? Could I even speak when the phone rang? I thought I'd better do some research to better my chances of not sounding like an idiot. I emailed a couple of Forum members for advice. I made a list of questions to refer to in the event of a disastrous silence. I watched a documentary about the Kinks on Youtube that made Ray seem really dark and menacing. I read the Wikipedia article on Dave, and some reviews of KINK which really seem to lean heavily on Dave's spiritual side. Seeing this information made me think that this could be a strange conversation. Friday night came and I felt like a kid on Christmas Eve. I was anxious and restless all night. I woke at 4:00am, got out of bed at 5:00am to feed the cats and let the dog out. I couldn't get back to sleep, so I decided to calm myself down by going through my usual Saturday morning ritual; shave, shower get the newpaper from whatever random location the paper carrier decided to throw it, and go to Tim Horton's for coffee and croisants. Things were going better, I felt pretty good. Precisely at 10:02 my phone rings and a very familiar voice says "Who the Hell is this?." I yell back "It's me!" "Aren't you supposed to get that call from that Kinks Guy now?" "YES!! Get off the phone Dad!" It was my father who decided, without the aid of his reading glasses, to hit his speed dials until he found my sister's number. I hang up on my Dad and the phone rings immediately. A very pleasant british woman's voice asks, "Is this David?" "Yes" I croak. "Here's Dave then" she replies. "David? How are you?" asks another very familiar voice. "I'm talking to Dave Davies" reverberates through my brain at glacial speed. And then, the panic is gone! Dave's voice immediately puts me at ease. I am having a conversation with an exceptionally friendly easy going person like he's that uncle I haven't seen in 20 years or so. We have a thirty minute conversation that Dave seems just as excited about as I do! He tells me that he's done so many interviews with reporters that the contest seemed like a great way to talk "to a real person"! He asked me how I came to be a Kinks fan, what album I liked best and when I responded with Phobia because to me it was grittier sounding and balanced between he and Ray he was really excited. It was one of his favourites too, but no-one seems to mention it. As it turned out, I didn't need my list. Dave is full of energy and excitement, and is very proud of his upcoming movie "Mystical Journey" which he is working around the clock on. He played snippets of the soundtrack for me that are going to knock your socks off! Dave pointed out that today is Ray's birthday and that he called him last night to wish him Happy Birthday. A this point I dropped the R-Bomb(reunion). Will there be a reunion? Dave never outright said there will be one, but did tell me that he and Ray are in close contact lately as they work together on the Box Set. 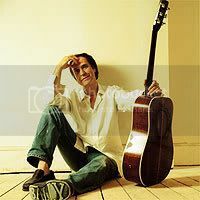 Then Dave told me he was working on new music which might have a chance to be added to the Box-set as a new Kinks recording. He said there aren't any lyrics yet but that he really liked it. Then he asked me "Would you like to hear it?" I had a private Dave Davies mini-concert in my own living room! 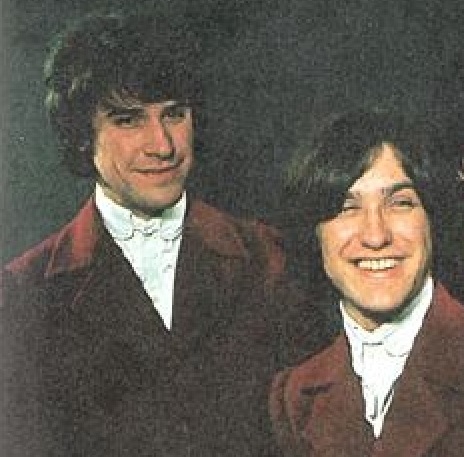 To pull everything together, I am a bigger Dave Davies fan now than ever. He is a real person, he has no ego to speak of, and he doesn't monopolize a conversation. I am truly grateful to have had this opprtunity, and I thank Dave and his staff for letting it occur. P.S. He loves you too, Frank! Better keep your umbrellas handy in case pigs start flying. Dave never said it would be the Kinks! His org. just said "has not been able to go on tour yet. Although there are tentative plans to do shows at the end of 2008." you should have no trouble being a swimming crow!